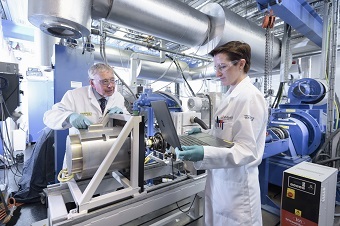 Our Energy Innovation Centre is a national facility for battery research across the R&D process from materials and electrochemistry through to application integration and recycling / re-use. 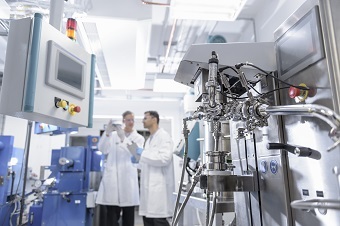 Our facilities support test, development and scale up of new battery chemistries from concept through to full proven traction batteries, produced in sufficient quantities for detailed industrial evaluation in target applications. Our research activities cover the full cycle of development, characterisation and verification of battery and drive solutions as shown below. Research is currently focused on the immediate priority of developing cheaper, higher energy density, safer batteries. We have recently been awarded £20m as part of the UK Government’s £60m Energy Research Accelerator (ERA) programme which will significantly expand our EIC facilities. ERA Research at WMG will support innovation and growth in the automotive sector, by enabling technologies in energy storage and energy machines, drives and systems. 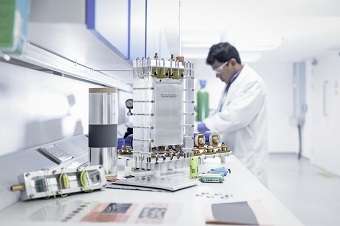 Particular areas of focus are: new battery chemistries, electro mechanical behaviour, second life applications, super-capacitors and high rate chemistries. Click here to take a virtual 360° tour of the Energy Innovation Centre, and to hear information from our experts about the equipment and facilities that can be accessed at WMG.